A Beautiful home in a family oriented subdivision! This 3 bedroom, 2 bath home offers a nice living room with masonry fireplace, bookshelves and hardwood floors. The bedrooms are large for a growing family. All floors are hardwood and ceramic tile. This home offers a glassed in sun room that has a wood smoker / pizza oven that is built in to the backside of the fireplace. 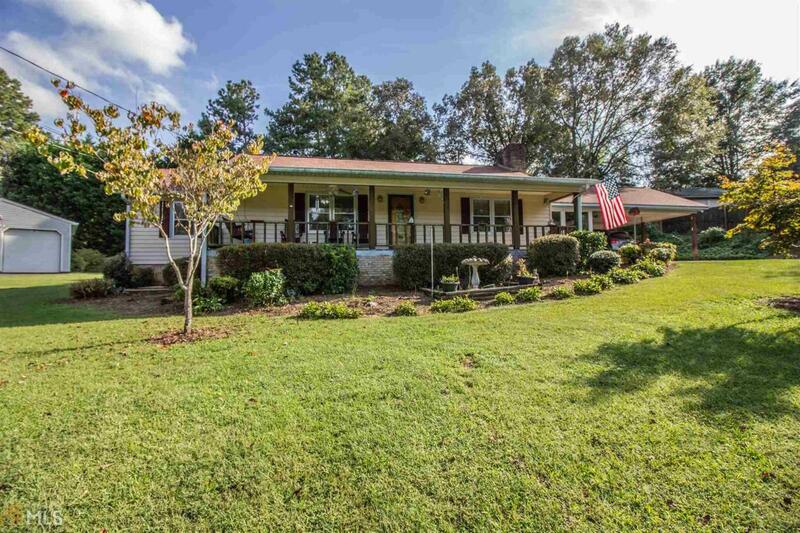 Enjoy a cup of coffee on the rocking chair front porch overlooking the beautiful front lawn. Out back there is a 740 sf +/- garage/workshop with two 12' roll up doors, electricity and water. There is an additional storage building inside the fenced in backyard. This home has so much to offer. Call today for your private viewing. Listing provided courtesy of Elite Group Georgia Llc. © 2019 Georgia Multiple Listing Service, Inc. All rights reserved. Information Deemed Reliable But Not Guaranteed.